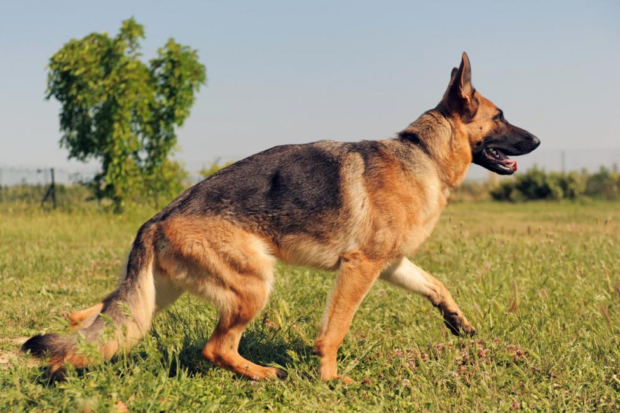 The German Shepherd is a pure German breed that is also referred to as Alsatian. Their high intelligence level makes them a great choice for house protection, sheep herding, intelligence tasks, disability assistance, military roles and rescue services. They are alert to their surroundings and proper training during early stages of birth enhances their capabilities. They are bred through specialized programs in different countries. German Shepherd is the right breed for keeping at home for security sake. They are easy to train and obey commands of the trainer without hassle. They are highly intelligent and human friendly. They can easily engage in physical activities with owners to keep fit. Their hair may shed often, for which you might have to vacuum clean your surfaces. However, daily brushing can help reduce the problem. Kids can enjoy playing with them due to their energetic nature. Roche’s Pedigree German Shepherd Center is known for Top German Pedigree Import Puppies. Here you can easily find German Pedigree Import Puppies for Sale. It is a quality breeding center where new born puppies are imported from top producing lines. These puppies are then brought up and trained in the perfect homely environment. Later they are available for sale in multiple states and cities including Chicago Illinois, Minnesota, Wisconsin and Eastern Iowa. Roche’s place is known for top services of pedigree German Shepherds since 2009. The puppies are imported from Remo Von Fitchtenschlag, Gina Vom Aquuamarin, Nino von Tronje SCHH3. These are the modern breeding lines of Western Germany. A well-established breeding plan is followed so that the puppies can adjust quickly in their new homes. Top German Pedigree Import Puppies can prove to be a great addition to your family. Not only the family members can enjoy with them, but they can also perform a variety of jobs. Contact one of the top breeding services of the country to discuss about available German Pedigree Import Puppies for Sale.